THE BOOK: More than twenty years of great cinema re-emerge, in the pages of this book, from the pen of the famous critic Ugo Casiraghi. 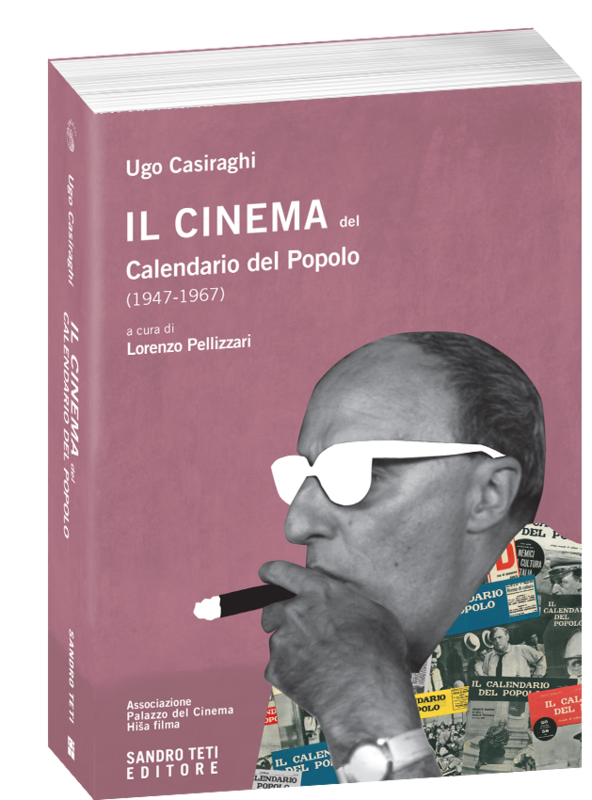 From Chaplin, Griffith, Ėjzenštejn, to Visconti, Fellini, Antonioni, through neorealism, the first films of Pasolini, the Soviet cinema, the US and French, the reader has more than two hundred essays and reviews available from 1947 to 1967 on the historical culture magazine Il Calendario del Popolo. Thanks to his sound analytical skills, Casiraghi allows us to revisit the great classics and the less known films, and to investigate that fundamental period of Italian cinema between the myth of Hollywood and the high social commitment. Ugo Casiraghi Milan, 1921 – Gorizia, 2006) was a film critic and journalist. Member of the Italian Communist Party, in 1947 he began to work for Unità and cooperate with Il Calendario del Popolo. In the cinematographic section of Unità he introduced the small icon of a moon, which with its different phases indicated the quality of examined films. The volume Vivement Truffaut!, published posthumously, won the Limina MYmovies 2012 prize for the best book on cinema. His personal library of over 4.000 volumes of cinema and 100.000 photographs of films, actors, directors and sets was donated by his family to the Palazzo del Cinema in Gorizia, now named after him. Lorenzo Pellizzari (Milan, 1938 – Milan, 2016) was a film essayist and critic. He made his debut in 1960 as an editor of Cinema nuovo, in 1974 he founded Cinema & cinema, who directed from 1977 to 1981. In 1982 he organized the Hollywood Thirties photographic exhibition for the Venice Biennale; in 1988 he curated the Alberto Cavalcanti retrospective for the Locarno Festival. He directed the series Biblioteca cinema for Longanesi and La nobile arte for Falsopiano. He is the president of the Adelio Ferrero Award for young essayists and critics. He has edited numerous volumes dedicated to the collection of writings by film critics including Il mio Zavattini, Percorso di due vite and L’altra faccia della luna (Artdigiland).